Name and shame those who would rig elections, embrace the popular vote, challenge gerrymandering. 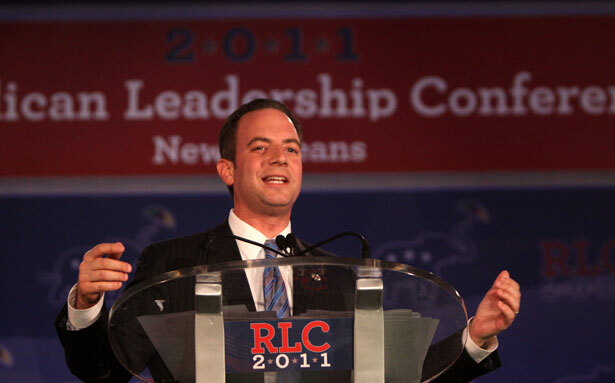 As Republican National Committee chairman Reince Priebus promotes one of the most blatant assaults on democracy in modern times—a scheme to gerrymander the Electoral College so that the loser of the popular vote could win key states and the presidency—the number-one question from frustrated citizens is: What can we do about it? After so many assaults on voting rights and the electoral process itself have been advanced, it is easy to imagine that Priebus, Karl Rove and their team could get away even with so audacious an initiative as the rigging of presidential elections. The right response is to highlight the anti-democratic character of the Electoral College and to push for a national popular vote. This will require a constitutional amendment. That takes work. But the process is in play. States across the country have endorsed plans to respect the popular vote that are advanced by FairVote: The Center for Voting and Democracy. Understanding, talking about and promoting the National Popular Vote campaign is an essential response to every proposal to rig the Electoral College. It pulls the debate out of the weeds of partisanship and appeals to a sense of fairness in Democrats, independents and responsible Republicans. The courts have criticized gerrymandering, and even suggested that there may be instances where it is unconstitutional. But they have been shamefully lax in their approach to the issue—at least in part out of deference to the authority extended to individual states when it comes to drawing district lines. But when gerrymandering threatens the integrity of national elections and the governing of the country, this opens a new avenue for challenging what remains the most common tool for rigging elections.